Thanks for the support to Henro & the manufacturer Antec. The Antec K240 has at review date a price of about 70 Euro (05/2018). 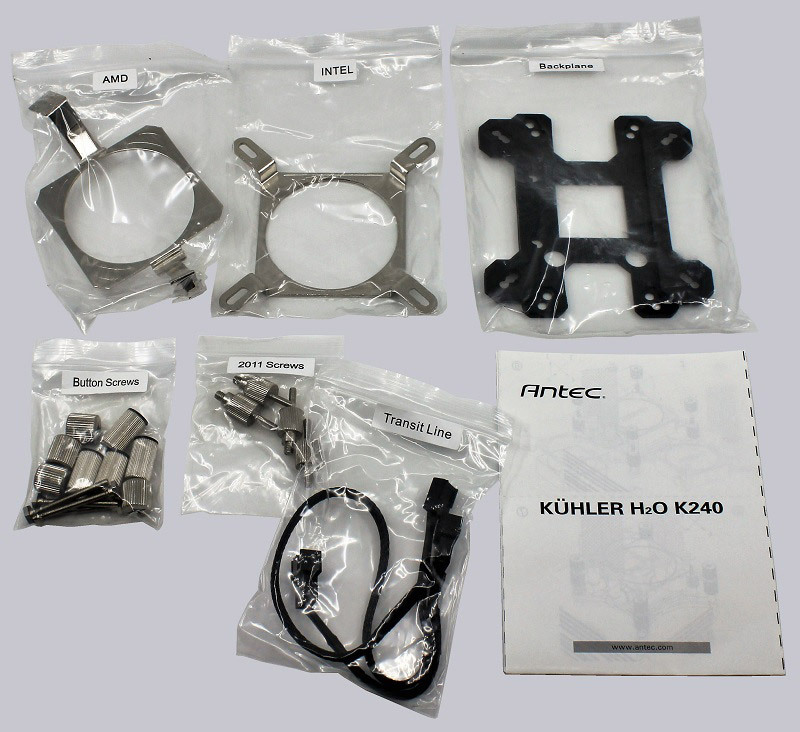 Here you can order the Antec K240 at a reasonable price. 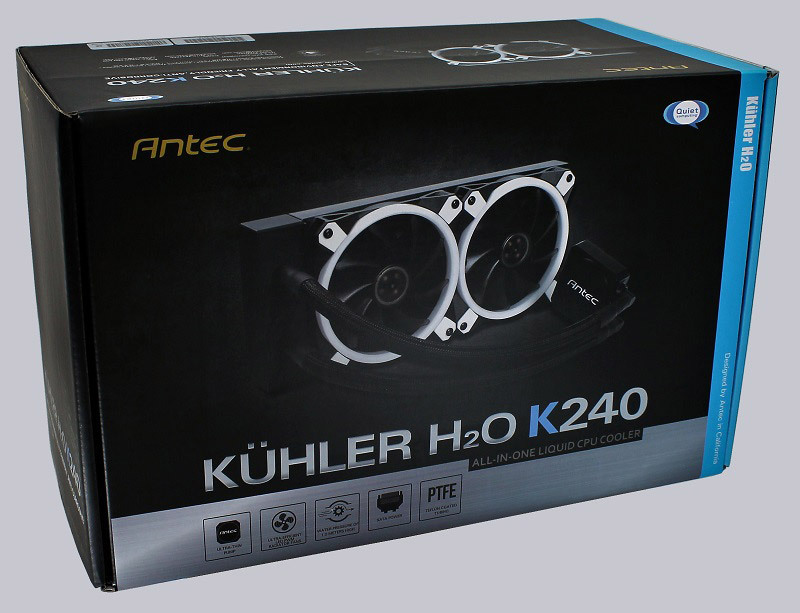 The Antec K240 water cooling system comes in a nice, relatively large box. 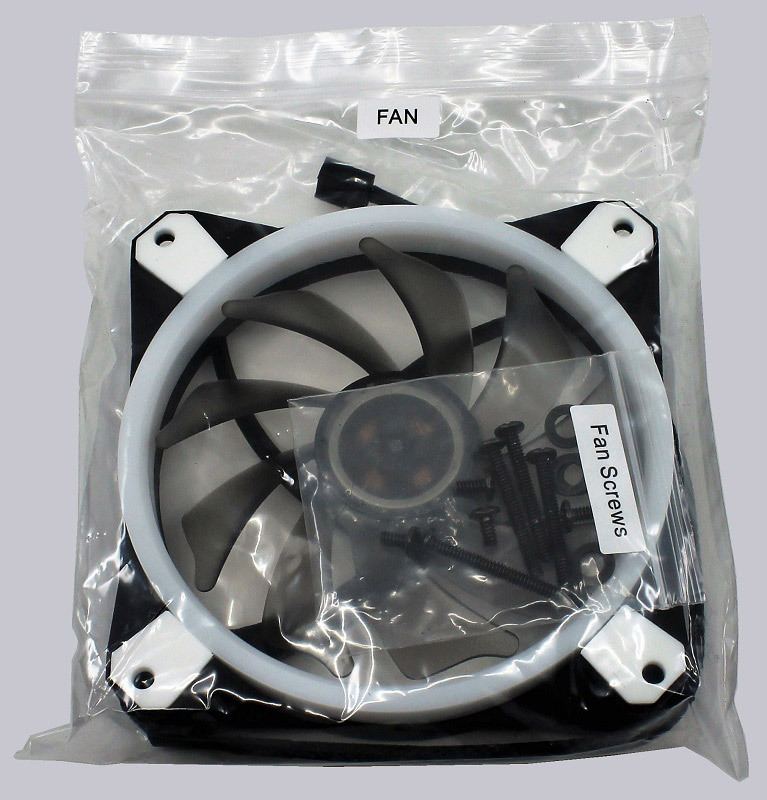 On the front we are directly referred to the main features of K240 water cooling. 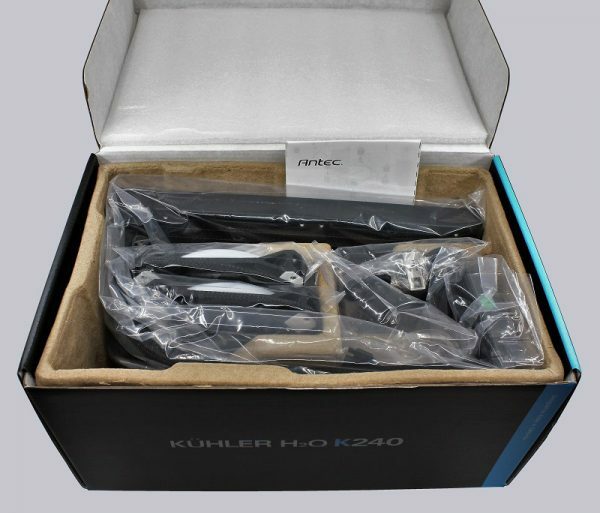 The K240 water cooling and accessories are packed safely and clearly in the box. … even the fans and the associated screws.